New Tip of the week. Be Different! Be Unique. 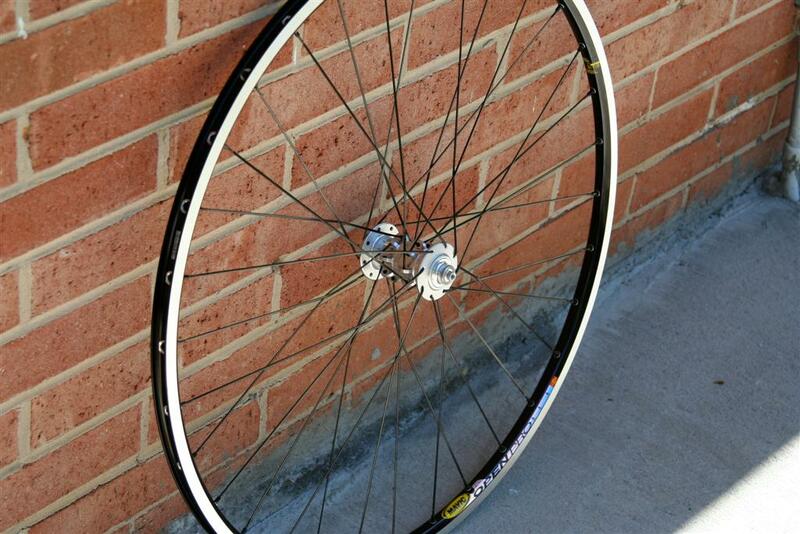 Forget about the cookie cutter factory pre-built wheels from Mavic or Shimano. What I have managed to find is a New Old Stock (NOS) 1995 Clark Kent Pineapple Front hub. Remember back in the early days of mountain biking with tie dye neon color schemes and anodized parts? Everyone was making components also. These hubs were marketed by Clark Kent based out of Colorado. They were machined in Colorado in the early-mid 90's by Royal Bicycle Works. The hub I have comes from a forum member with the name pkryz or pkrzystyniak on MTBR and Retro Bike. pkryz claimed that his father gave him the remaining stock of the hubs. This would mean that his father ran Royal Bicycle works in the mid 90s. pkryz was selling off this stock back starting in 2004. I purchased my hub in 2008 from a forum member on Retro Bike. 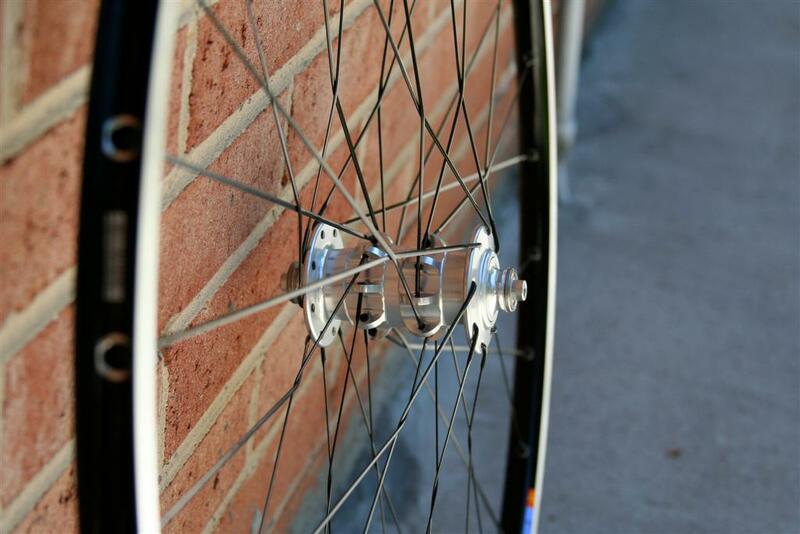 The intention of this unique hub was to do a snow flake pattern where the spokes are twisted. The hubs are a perfect definition of the saying "form over function" design. "Sometimes things are done because they look cool." Here is my particular hub. No longer a tree ornament or in someone's closet collecting dust. As you can see it is by no means a light front hub. 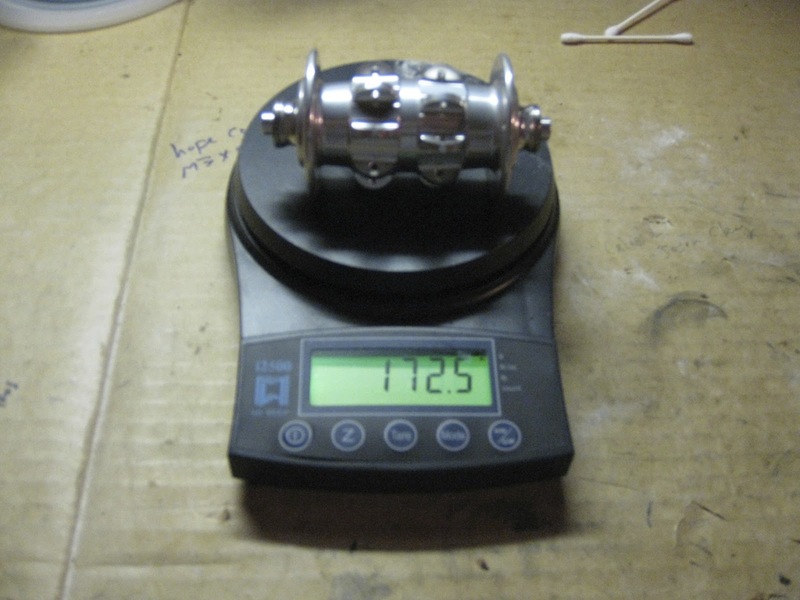 It is even heavier than a Chris King Classic 100mm hub. Don't forget that Chris King only really started shipping hubs in higher volume at around the 1992 time frame. The front wheel that this Clark Kent Pineapple will be taking over on my road bike has a Chris King hubset from 1993! Since I have not the slightest idea on how to lace this Clark Kent Pineapple hub. 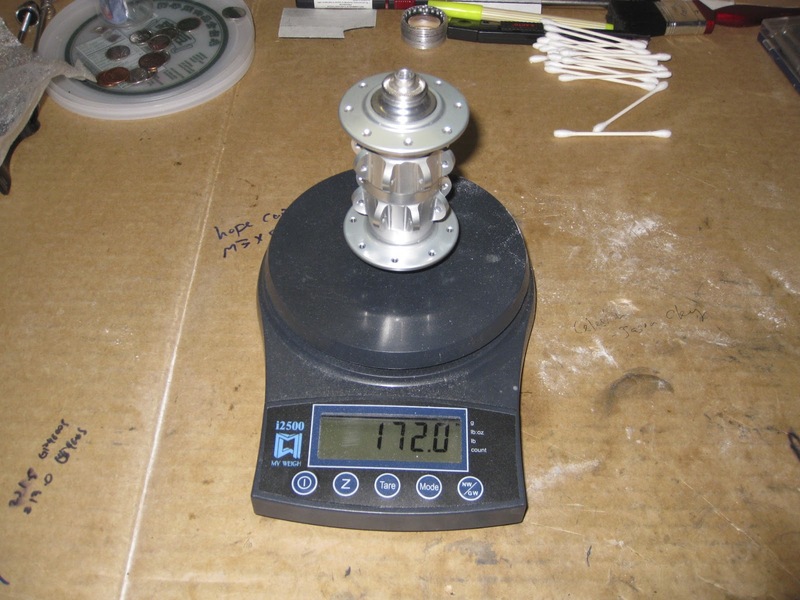 I emailed many popular professional wheel builders who frequent MTBR/Road Bike Review/Weight Weenies. Only 1 wheel builder accepted. Troy Watson owner of Ligero Wheels. He currently is at Fair Wheel Bikes. The idea was to make use of this hub for my road bike. A 2006 Cervelo Soloist. Road bikes are 100mm spacing for the front fork just like mountain bikes. However hubs without disc rotor mounting are pretty much obsolete to the mountain bike community. You rarely see people on V-brakes anymore on the trails. The fact that road bikes are still on 100mm and also do not utilize disc brakes means I could still pay homage to the old school days of mid 90s mountain biking. This Pineapple front hub has 32 spoke holes. I believe that Clark Kent only ever made 32 hole versions. 8 holes on each flange (outer, middle, middle, outer). 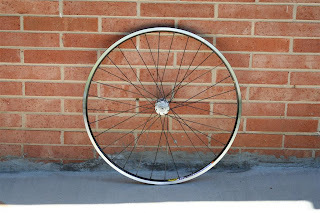 I built the front wheel a total of 3 times trying different spoke patterns. 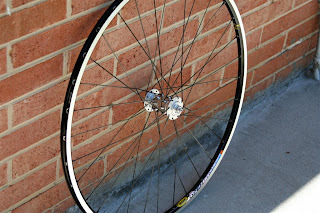 I thought I was going to be able to lace it like two 16 spoke 1x wheels but it did not work out. 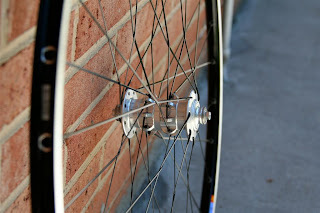 The way I calculated the spoke lengths on the final build was figuring the lengths for 3x then taking into account how much the spokes would be pulled in and out and adding to the length to compensate. The tensions are actually the same or very, very close between the inner and outer flanges because of the way the spokes are interleaved. When you look at the wheel from the front you can see what the designer was thinking of. The spokes form to small triangles with a larger single triangle sitting on top. 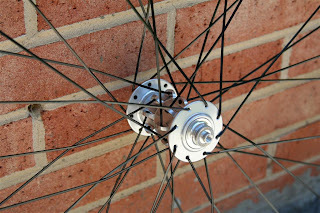 If the spokes were rigid members it may have actually made the wheels stiffer but because spokes are tensioned wires it did nothing but make for a unique looking wheel. 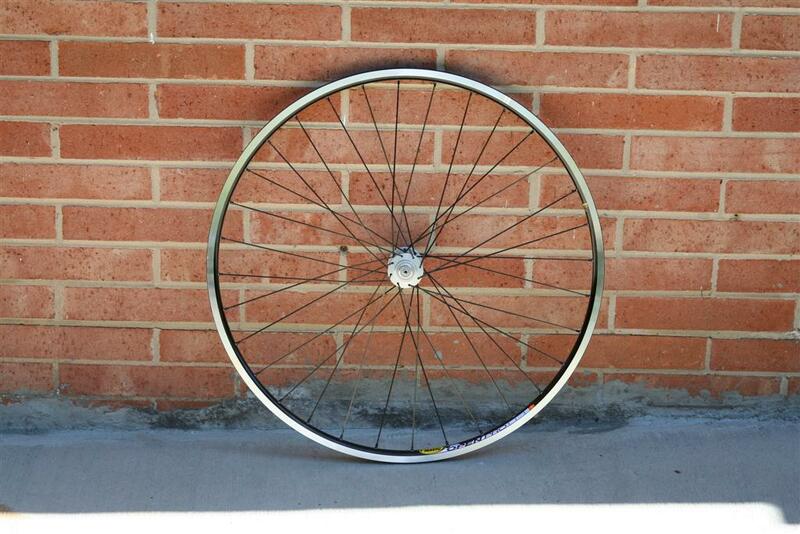 To date I have perhaps logged about 10,000 km on this wheel. Tension seems to be even still, the rim still rolls straight and true. Hooray for 90s Mountain Biking at it's best. 20th century technology rehashed in the late 21st as a road bike hub. Complete opposite from what Clark Kent had originally anticipated it to do.